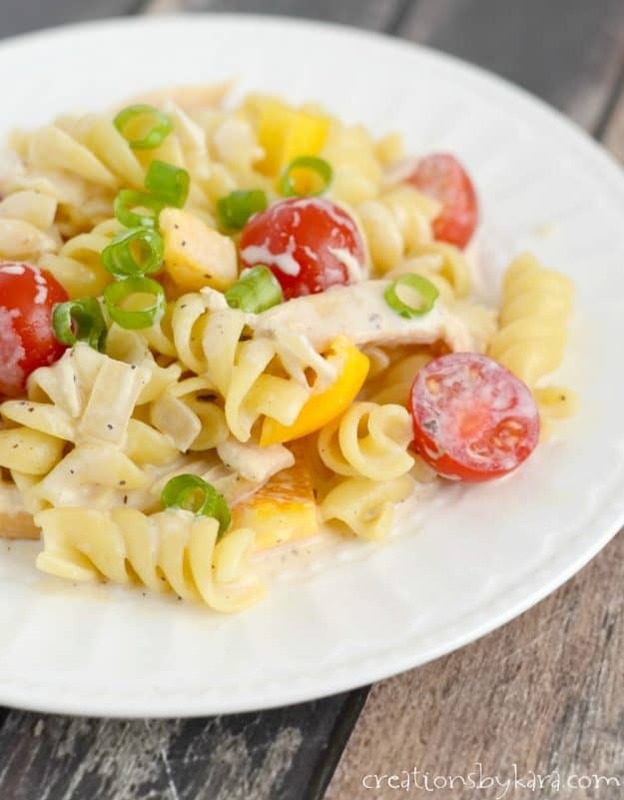 You are going to love the robust flavor of this Creamy Cajun Chicken Pasta. It’s loaded with chicken and veggies, and it’s a cinch to make! We are big pasta fans at my house, and I love experimenting with new pasta dishes. 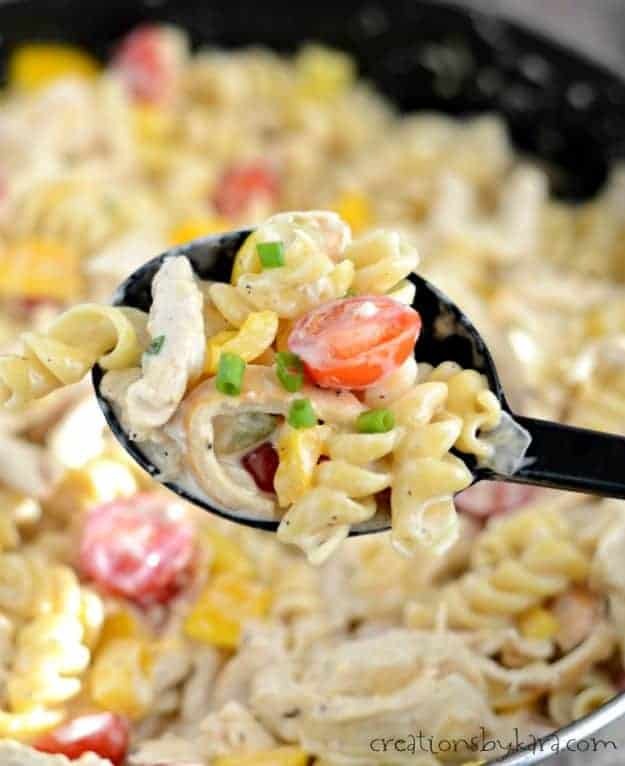 This creamy cajun chicken pasta was my latest creation, and it will be going on the regular dinner rotation for sure! We had my parents over for dinner the night I served it, and all eight of us loved it. My mom even asked for the recipe, so I knew it was a winner. And the best part is that it is ready in under 30 minutes! I haven’t done much cajun cooking, but I had a jar of cajun seasoning in my pantry that was just begging to be used. It works perfectly in this recipe. Tons of flavor, very little work. If you are worried that it will be too spicy, you can start with less seasoning. And if you like things on the fiery side, feel free to add more. 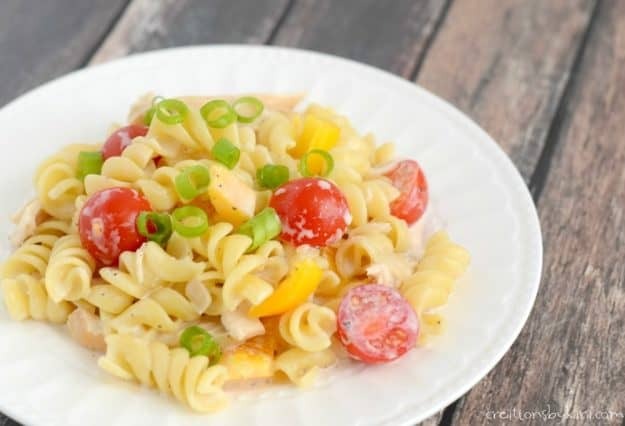 Every bite of this pasta is creamy and delicious!! I’m teaming up with the Celebrating Food Holiday Bloggers for National Pasta Day today. I see a lot of pasta in my near future. 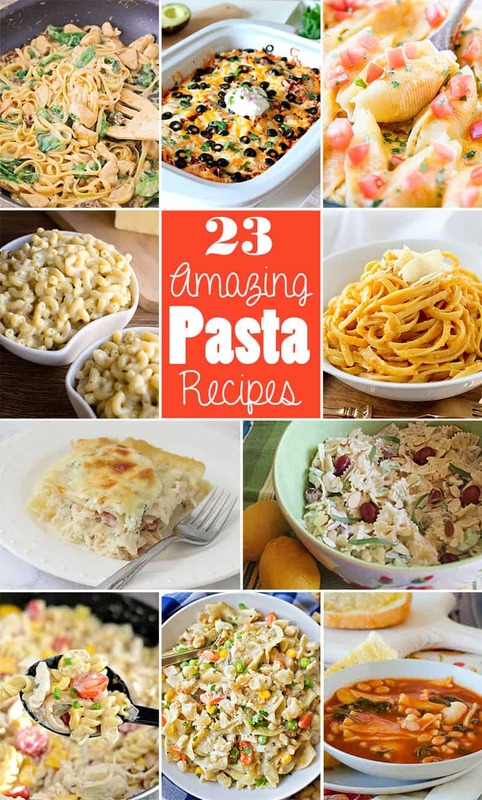 These pasta recipes look simply delish! 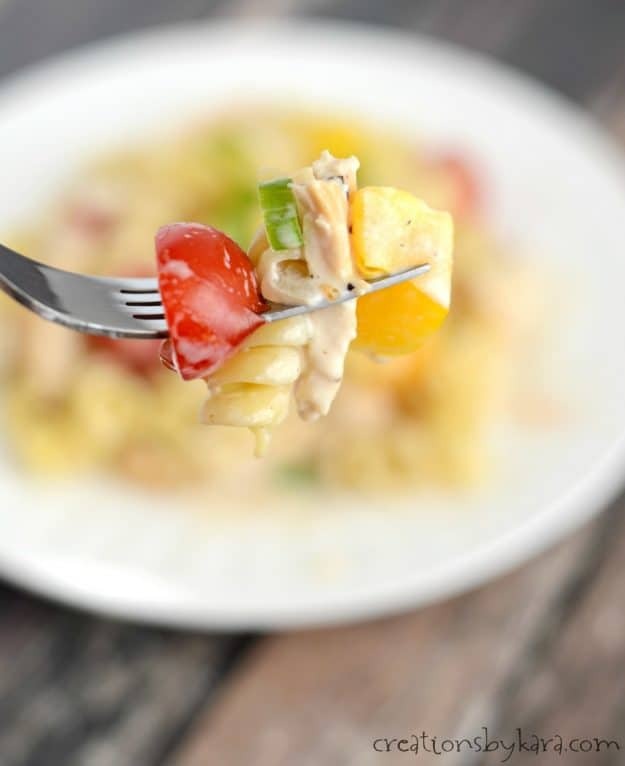 Lemon Tarragon Pasta Salad from Jamie Cooks It Up! 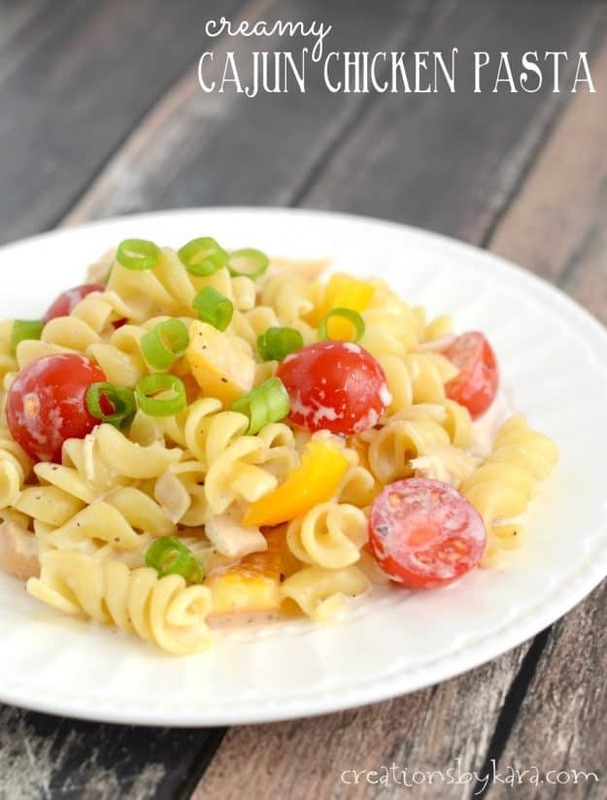 Creamy cajun pasta with chicken, tomatoes, and peppers. Shred chicken and set aside. In a large skillet saute onion in butter over medium heat for about 4 minutes. Add yellow pepper and saute another 2-3 minutes. Add the garlic and flour. Stir till flour is absorbed. Quickly whisk in the milk, cream, chicken base, and cajun seasoning. Cook and stir till thickened and creamy. Add the shredded chicken and heat through. Stir in the halved tomatoes just before serving. Mix with the hot pasta. Garnish with sliced green onions. 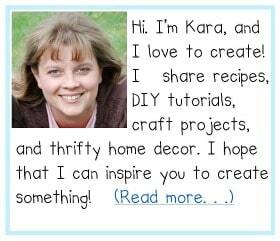 So glad you loved the recipe! wow…. If it looking that beautiful what will be the taste of it…? I just simply want to have taste of it.. My mouth has filled with water. I just love eating pasta and if it the mixture of chicken then what to tell. Thanks for sharing such a great recipe. Really gonna try this at my home. We are huge pasta eaters at our house too. Its one of the foods Colby will never say no to, so I always try to sneak veggies in with it. This looks delicious, definitely trying soon! I love the idea of the cajun version! I couldn’t believe how flavorful it was. I definitely need to pull it out of my spice cabinet more often!